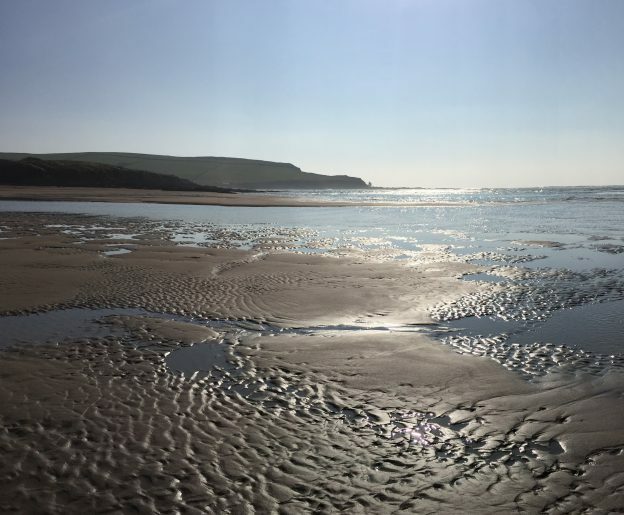 We recently went on a little field trip to two of the most beautiful beaches in Devon to look for nurdles. 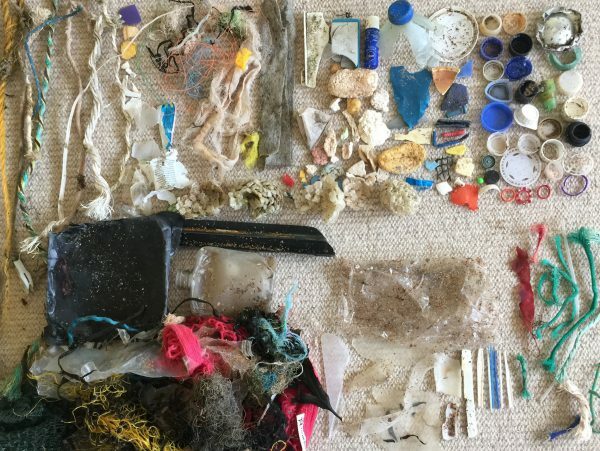 Prompted by the recent news of record levels of plastic nurdles being washed up on UK beaches (127,500 were found on a 100m stretch of beach in Cornwall alone) we wanted to see for ourselves. 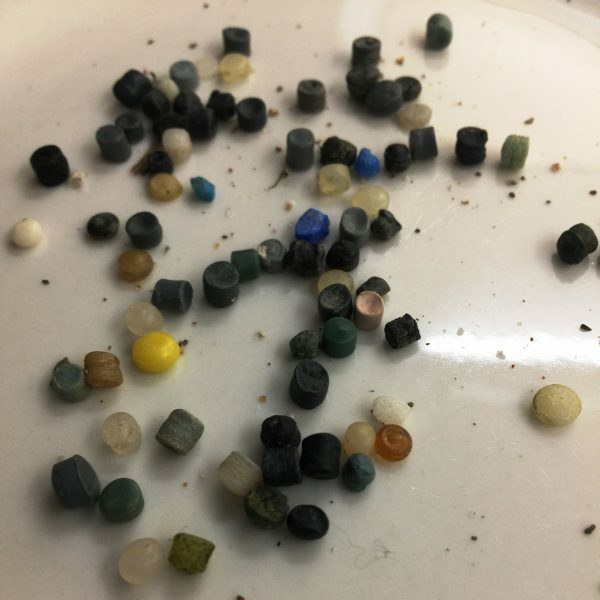 Nurdles are tiny plastic pellets used as raw material for almost every plastic product on earth. An estimated 113 billion kilograms of nurdles are produced every year. The extensive spillage of these pellets during transport on ships, trains and trucks has become a massive environmental problem. Campaigners estimate that up to 53 billion pellets escape into the UK’s environment each year. The beaches we chose for our field trip are remote and pristine, with white sand and a beautiful surf rolling in from the English Channel. My husband and his sister played here as children. Our own children grew up exploring the rock pools and fishing just off the coast. There is an estuary dotted with dinghies and there are wetlands beyond the beach – a haven for people and wildlife. At first glance, the beach looked reassuringly normal with happy families and surfers enjoying themselves as always. Yes, there was the odd bit of big plastic: a battered laundry basket, a broken packing pallet, a plastic bottle. 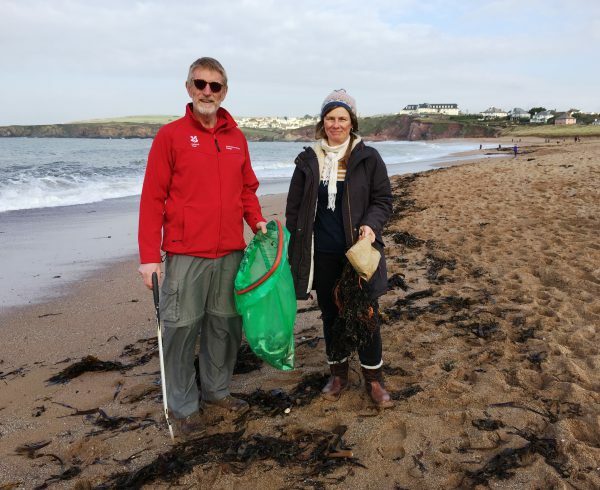 National Trust beach volunteer Jeff was out picking litter as part of his daily routine. Still, nothing too bad, we thought. 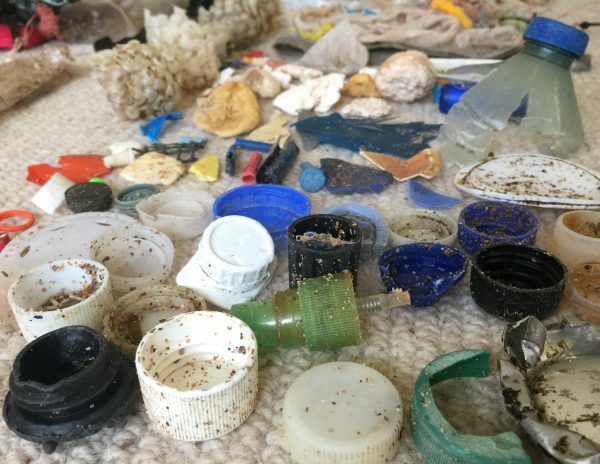 It wasn’t until we got down on our knees and close up to the swathes of seaweed left behind by the tide that we started noticing hundreds of bits of small plastic: bottle tops, twine, netting, Styrofoam, balls of bubble warp, packaging and brightly coloured solid bits of plastic of all sizes. Our bags were filled after just 20 minutes of casual picking. Really disheartening. We found the nurdles on the second beach. One or two at first and then 70 or more within a 10 metre stretch of sand. We stopped looking after a few minutes because it was evident just how close to home this global problem is… I’ll let the pictures below do the talking. I know of no other solution then to stop buying plastic and to support those who lobby governments and work with industry to reform and bring in alternatives as quickly as possible. 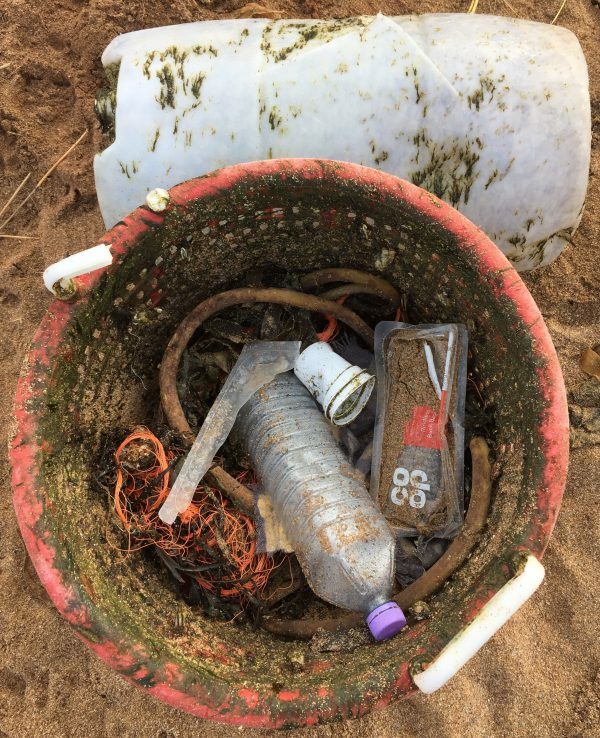 This entry was posted in General and tagged marine plastics, nurdles, plastic pellets, UK beaches pollution on February 25, 2017 by admin. I love your blog, Claudi! Claudi, thank you a thousand million times for doing this project. I despair of my family’s usage. What about doing a talk? Thank you so much for what you are doing. I’ll be hunting for nurdles next summer in Cornwall (would that it would make a difference). It really has reached serious crisis level. 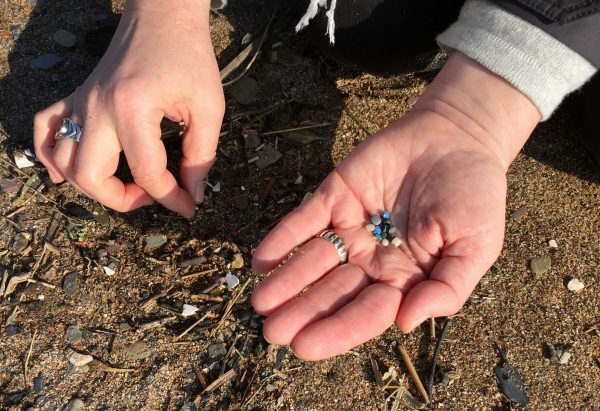 I have found loads of nurdles too, but what I cant find is a way to dispose of them …. there must be something more positive we can do than to put them in landfill / incinerator?